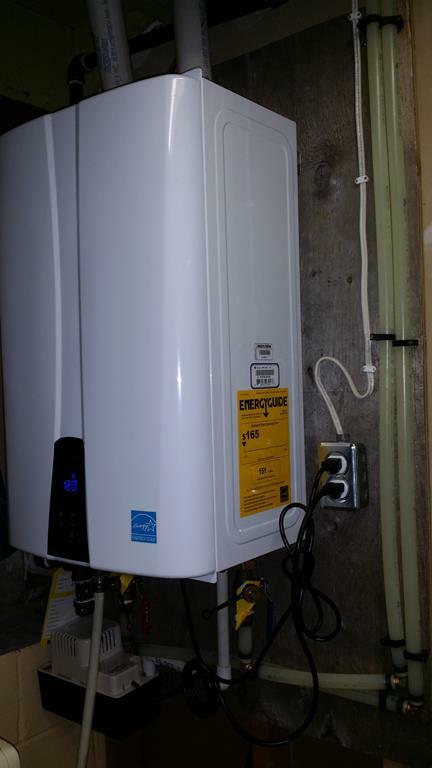 Over the past couple of years the on-demand nature of on-demand or "tankless" hot water heaters have risen in popularity. 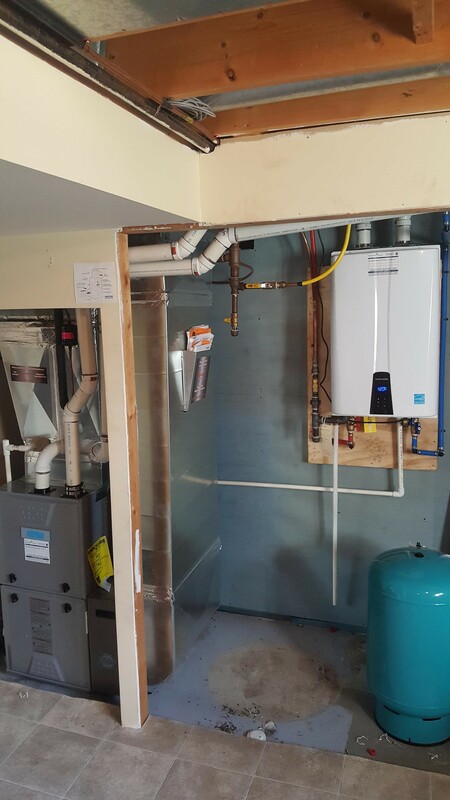 Energy efficient, and running almost without a sound, tankless water heaters make sure that hot water is delivered at the turn of the tap. 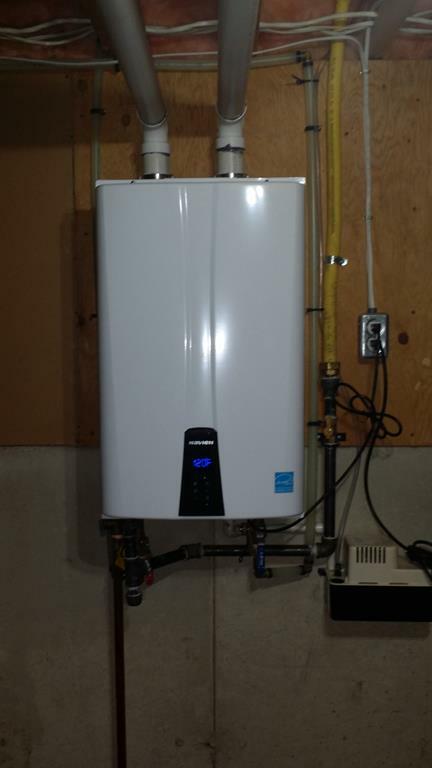 In addition, a tankless water heater installation reduces the average household CO2 emmisions by an average of 900-1000 lbs per year! 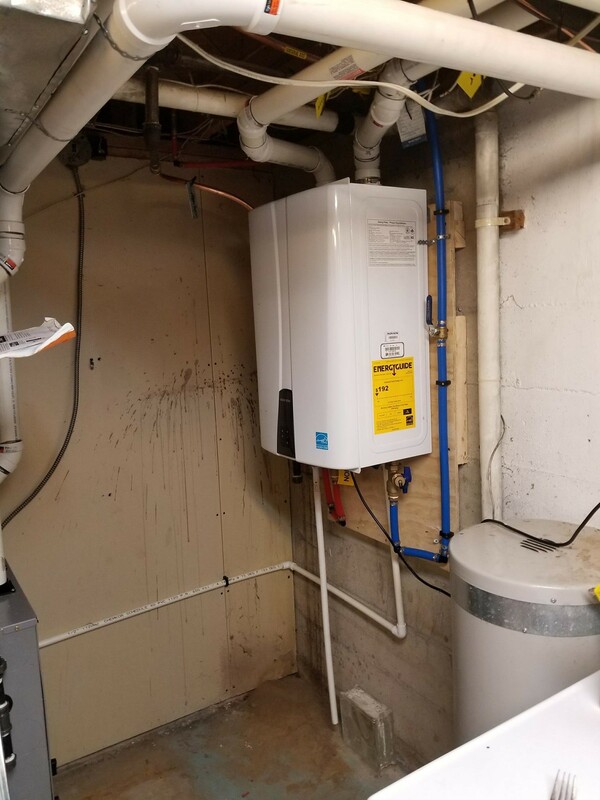 Tankless means just that, there's no storage tank at all. Within a couple of seconds of turning on your hot water faucet, the water flow trips a sensor within the system, firing up the burners in a heat exchanger (which is a group of small water channels) and the exhaust fan. The water is heated to temperature (which you can preset) very quickly and is sent up through the pipes to your sink. The system detects when flow stops, and stops the heat exchange until the next time the tap is turned on again. Thats fast! Hot water on demand systems are a great way to reduce your fuel consumption, and with the new technologies in these systems your water is ready to go when you are. 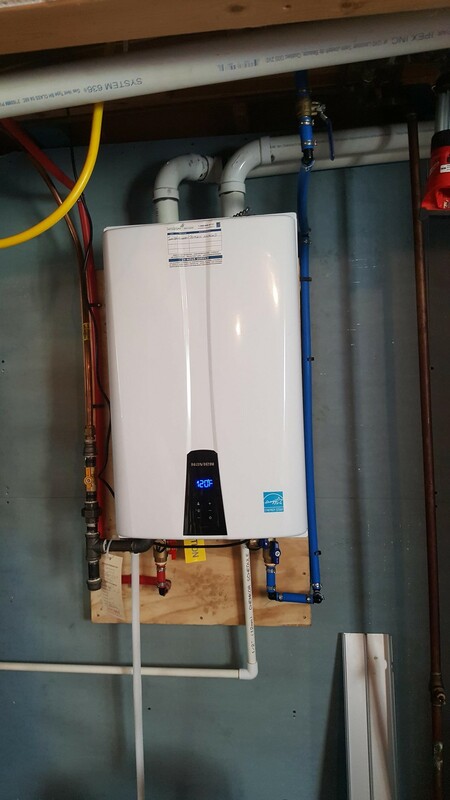 Brantworth Mechanical can update your hot water system so that you can save money and space, never mind the worry of a burst tank. Rental and leasing available, just ask your sales rep when calling for pricing.